Fashionable flair. You'll shine in this Long Cobalt Blue Glass Bead Necklace. 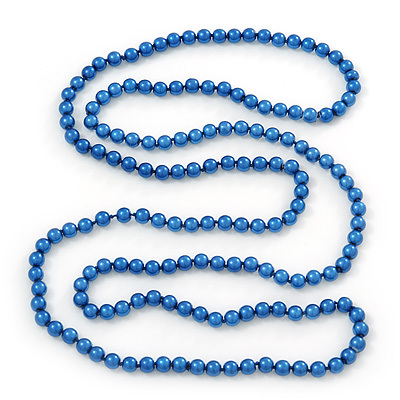 Featuring an extra-long single strand, made of 8mm glass beads in hues of cobalt blue, separated with tiny knots, offering a unique style.